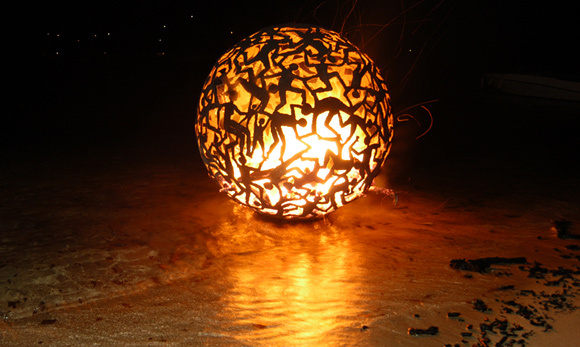 The Fire Ball has become Aragorn’s signature work of art. His distinctive design style, flowing lines and crisp silhouetted human figures, combine magically when carved into a perfect spherical form and then brought to life with fire. 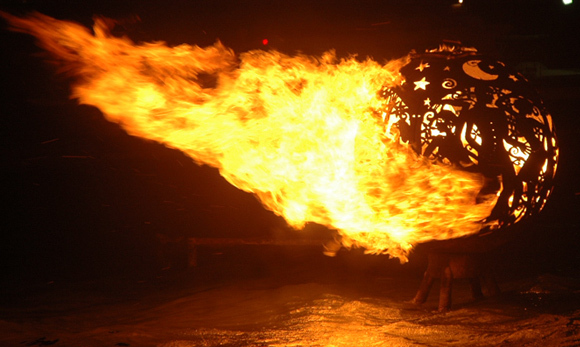 By placing them on stands in the water a dramatic illusion is created – a ball of fire floating on the water. 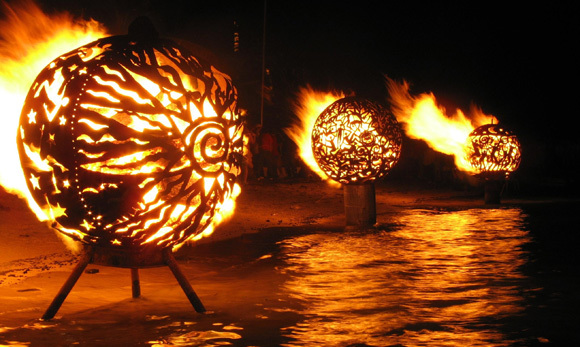 The fire gives life to the silhouetted forms and figures whilst the water offers an animated flaming reflection. The impact is impressive, elemental and captivates viewers.